Although the Singapore Film Commission (SFC) and the Singapore Tourism Board (STB) support the film Crazy Rich Asians, that does not change author Kevin Kwan's status. He is still a national service defaulter wanted by the Government. However, SFC's and STB's support for the film has helped showcase the work of 12 cast members and 297 production crew members to the world. Had these organisations not lent their support, these talents would have missed a significant opportunity. Would it have been right to sacrifice the prospects of more than 300 people for the sake of one - even though he is a wanted man (Wrong to support work of person who broke the law, by Mr Michael Lum; Aug 29)? Before I watched the movie, I too thought that our local authorities should not have backed the movie due to Mr Kwan's issue. However, after watching the movie, I have come to think differently. Seeing so many local artists, the familiar sights and sounds of Singapore life as well as the list of credits made me realise that this may be a once-in-a-lifetime opportunity for the cast and crew to show their talents internationally. It would have been such a waste if the movie producers had employed Asians from other countries instead. Everyone takes away something different from the movie. For Mr Manoraj Rajathurai, it was the display of excessive wealth and the social divide (Movie accentuates social divide, stereotypes; Aug 29). While the above is true, especially in the first half of the movie, something else left a deeper impression on me - sacrifice. I took away the message that love comes with sacrifice. Whether rich or poor, warm-hearted or otherwise, crazy or sane, there are people who will put loved ones before themselves, people who will quietly bear emotional upheavals and suffering because there are duties to fulfil, and people who understand that love is not just a word, but an action. Therefore, as crazy as SFC and STB may appear to be, to me, they made the right call. Flat buyers taking a Housing Board loan will no longer have to drain their Central Provident Fund (CPF) Ordinary Account (OA) first - a move that encourages sufficient retirement savings. They can now keep up to $20,000 in their OA when they take an HDB loan, the agency said yesterday. The changes apply to those who have yet to collect the keys to their new flats, as well as new resale applicants. Before this, buyers had to use all the funds in their OA before taking on a Housing Board loan. Those who take private bank loans already have the option to leave some funds in their CPF accounts. 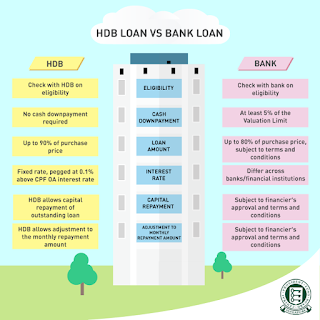 Said the HDB: "The funds can be used for their monthly mortgage instalments in times of need and will improve retirement adequacy if left unutilised." For example, someone who leaves $20,000 in his OA can earn $32,772.33 over 20 years, the recommended tenure for a housing loan. The interest rate for the OA is currently 2.5 per cent a year. This amount could rise if he shifts his funds to the Special Account (SA), which can earn up to 5 per cent. Unlike the OA, however, which can be used to pay off a mortgage, the SA can be used only for retirement. Observers welcomed the move which encourages buyers to ensure sufficient retirement funds even as they invest in a large asset like a home. "People have been conditioned to think of their OAs as their housing budget, which has probably led some buyers to choose more expensive housing than they really need or can comfortably afford," Singapore University of Social Sciences economist Walter Theseira said. "We should view this policy change in the context of nudging people to realise that they don't have to exhaust their OAs for housing if they don't want to." 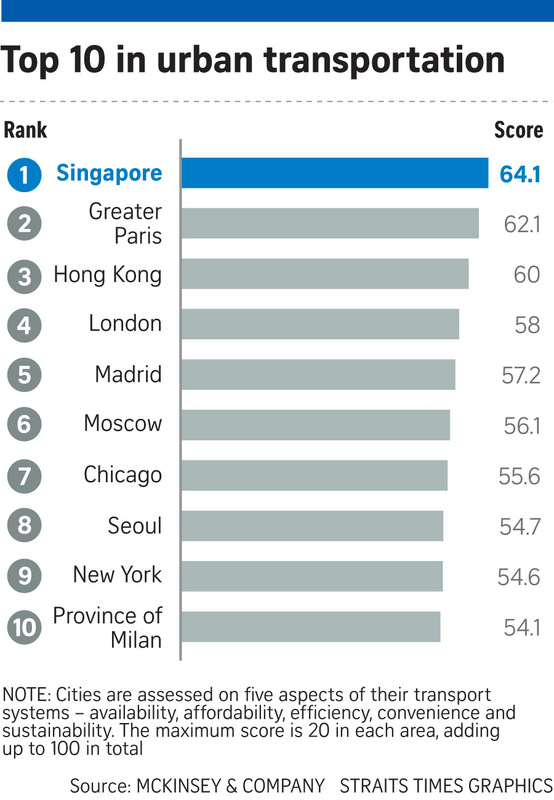 Singapore, like any modern city, faces a growing resource challenge. 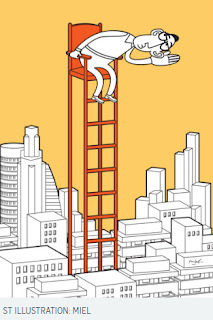 Who are Singapore’s visionary thinkers and innovators? And how are we preparing for a brighter future through technology? Widening gulf between politicians and voters in Singapore? Singapore celebrates its 53rd year as an independent nation with much to be proud of. The city has been transformed, the economy is humming along even if it's not quite buzzing the way it used to, and Singaporeans live in peace and stability. Yet, there seems to be a certain sourness on the ground, with more grumbling than usual about issues especially to do with the Government. In the many chat groups I belong to, more people seem to be getting worked up. 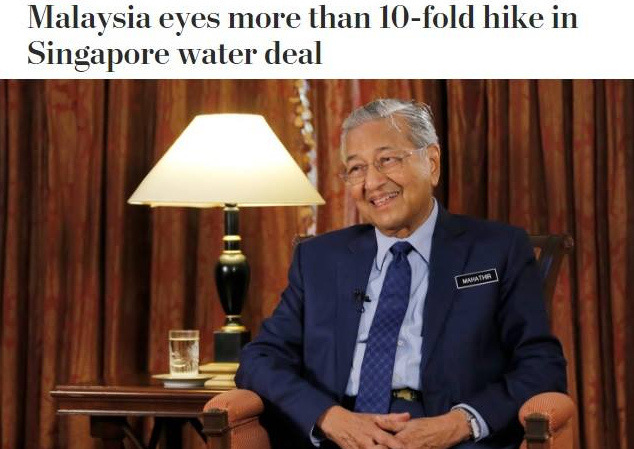 The latest was over ministerial salaries, always an evergreen topic but recently stoked up by comments made by former prime minister Goh Chok Tong, now Emeritus Senior Minister. Earlier this month, a doctor, who said he meets people from different backgrounds in his clinic, wrote to this newspaper that the feedback he gets from them about the Government has been "far from encouraging". "It is further aggravated when ordinary folk who are struggling to make ends meet conclude that those in authority lack empathy and that those making policies do not understand the sentiments on the ground," he said. "I am also concerned about the responses of the younger generation, who pepper their comments with vulgarities, showing little respect for the office of those who are given the responsibility to govern." 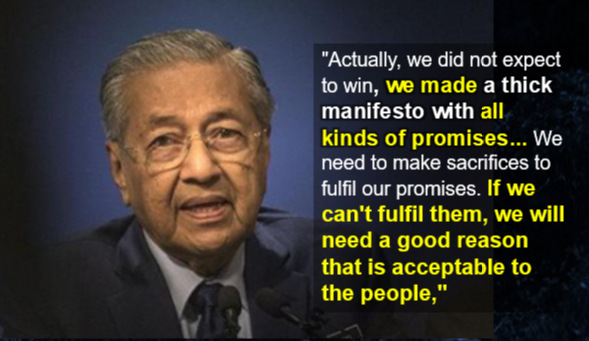 The mood reminds me of the run-up to the 2011 General Election when public unhappiness over housing, immigration and overcrowded MRT trains caused the ruling party to suffer an unprecedented setback at the polls. Unlike 2011, I do not think that the moodiness this time has to do with any particular policy. 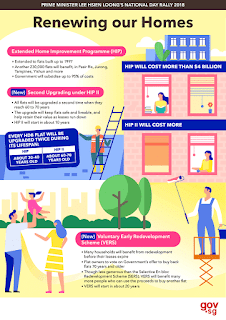 The public housing shortage and spiralling prices have been tackled by the HDB's building programme. More new MRT trains and buses have been added, relieving some of the overcrowding, and the immigration tap has been tightened. Rather, I believe it has to do with the disconnect which that good doctor referred to. But my sense is that this gulf between leaders and the people does not stem from a lack of empathy and understanding of what is happening on the ground. 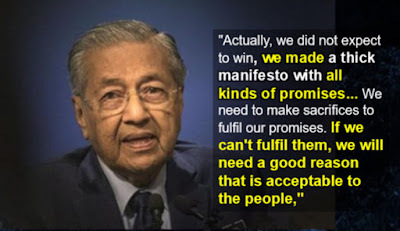 Singapore is a small, compact place and it isn't hard for leaders to know the public sentiment, provided, of course, that they are willing and prepared to listen. The problem is a more fundamental one to do with how the country is to be governed and what needs to be done to ensure its continued security and prosperity. 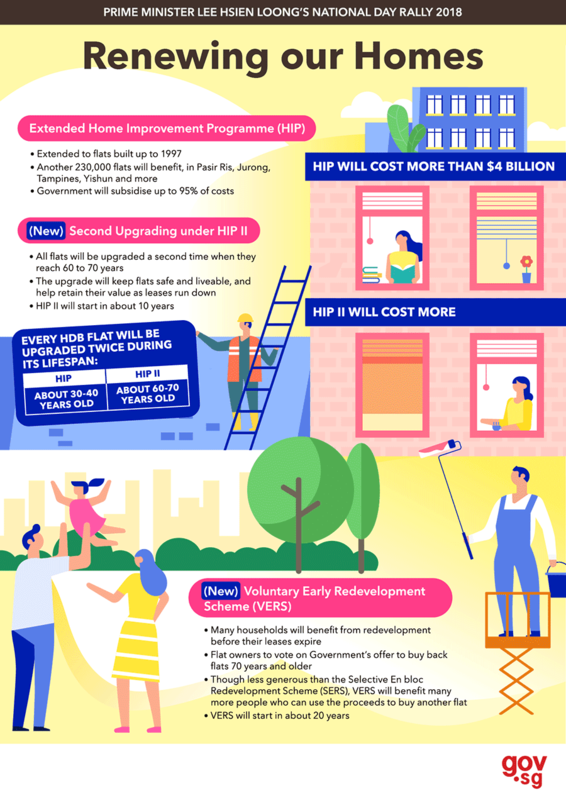 Prime Minister Lee Hsien Loong set out yesterday why home ownership is a key national policy, saying it gives every Singaporean a stake in the country and has improved lives significantly for all. On the issue of 99-year Housing Board leases, Mr Lee refuted the notion that the lease is "merely an extended rental" and not a sale. He said he found the argument by some commentators "frankly amazing", as many private properties are held on 99-year leases but no one argues they are merely being rented. "HDB lessees have all the rights over their flats that owners of such leasehold private properties have. 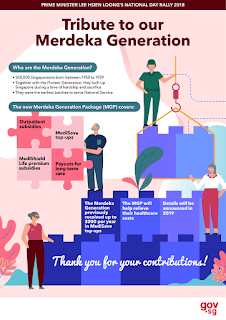 You can live in it, you can transact it, you can bequeath it to your children - it is yours," said Mr Lee, at a book launch held at the National University of Singapore. In fact, HDB owners enjoy extra privileges, because their flats get upgraded from time to time with generous government funding, he added. While the Prime Minister did not name the commentators he was referring to, The Straits Times had published a commentary on Aug 14 by property agent Ku Swee Yong, who said people should "recognise that we are merely lessees who rent the HDB flats for their terms". Public housing was one of the hot-button issues Mr Lee addressed at the National Day Rally on Sunday, when he announced several long-term housing initiatives in response to concerns over expiring HDB leases. Returning to the issue yesterday, he said home ownership enables every Singaporean to share in the country's economic growth, because as the economy grows, so will the value of their homes. 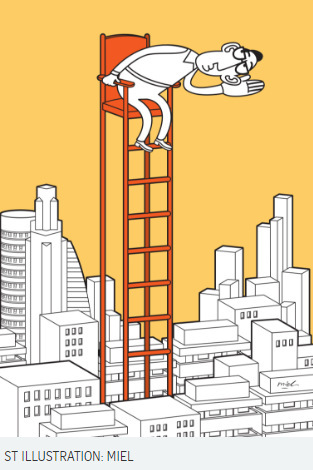 Nearly every household - even low-income ones - has a substantial asset to its name. This has allowed Singapore to avoid the extremes of privation and poverty often seen even in affluent societies, Mr Lee said. He noted that the Government could have adopted other policies to house the people, such as having controlled rents like in San Francisco or leaving housing largely to the private market like in Hong Kong. "But none of these alternatives would have achieved the same economic and social results as home ownership," he said. He also said rental housing creates a very different mindset from owning a home, as a tenant lives from month to month and has no interest in the property's long-term value as he cannot sell or leave it to his children. In comparison, a home owner takes responsibility for his property, thinks long term and does his best to protect its value - including upholding the society and system on which the value of his home depends, he said. This is why HDB sells flats at highly subsidised rates, including to lower-income households, rather than offering them subsidised rental units, he added. 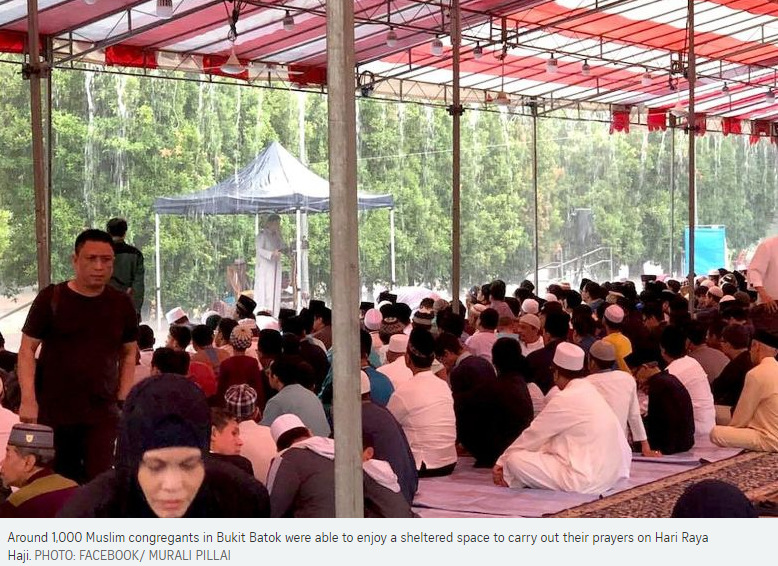 A collaboration between two Taoist temples, a mosque, two tentage companies and a grassroots leader resulted in around 1,000 Muslim congregants having a sheltered area for Hari Raya Haji prayers on Wednesday. The collaboration was first brought to light in a Facebook post by Bukit Batok MP Murali Pillai, who posted a photo of a tentage erected at Block 630 in Bukit Batok. "Even though it rained heavily, our Muslim friends were able to complete their prayers," wrote Mr Murali. "A great example of multi-religious cooperation in Bukit Batok!" His post has since attracted more than 2,000 reactions and almost 600 shares. The Muslim community was celebrating Hari Raya Haji, also known as Eid al-Adha or the festival of sacrifice. It marks the end of the haj pilgrimage to Mecca. Mr Murali told The Straits Times that the congregants would have had to head to the nearby Masjid Ar-Raudhah mosque to conduct the prayers had the tentage not been erected. But due to limited space in the mosque, this would have resulted in a cramped situation, he said. The mosque is located about 1km away from where the tentage was set up. It all began with Mr Lim Siong, a volunteer with the Inter-Racial and Religious Confidence Circles, attending a Hungry Ghost Festival event by the Lian Sheng Tan temple last Saturday. The original plan was for the temple to take down its tentage by Monday for another temple, Shan Fu Gong, to set up a bigger one on Thursday. As Mr Lim knew the Muslim congregants needed a bigger space to pray on Wednesday, he liaised with leaders at both temples to see if an arrangement could be reached to keep it up throughout the week. Mr Lim, 70, said in Mandarin: "I realised the weather forecast was not good for the week, so I was worried about the Hari Raya Haji event on Wednesday, because I knew that about 1,000 people would be attending. I asked the temples and the tentage companies for help on this and they were very agreeable about it." Mr Tan Boon Chin, 57, one of the leaders at the Shan Fu Gong temple, said the temple had contacted their tentage supplier, Hup Heng Tentage, about the arrangement, and the company immediately agreed to the request. "Singapore's most important asset is religious harmony, and as long as there is harmony, there is peace," said Mr Tan. A Palestinian-Israeli Harvard graduate has been travelling the world for the past 865 days, documenting experiences in different countries and uploading a one-minute video to his Facebook channel every day. The social media star has about 7.6 million followers on Facebook and often gets over a million views for his videos. 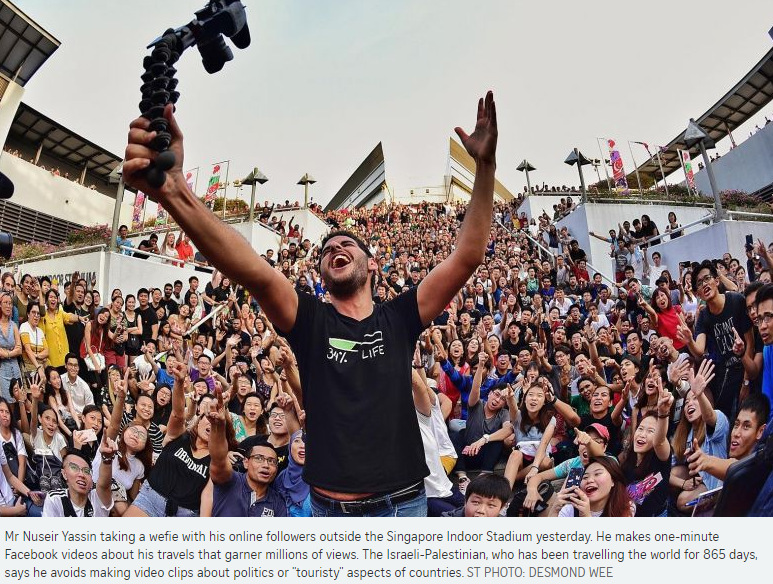 Mr Nuseir Yassin, 26, the man behind the popular channel Nas Daily, has pledged to rack up 1,000 days on the road - telling the stories of people from Malta to Turkey and now, Singapore. 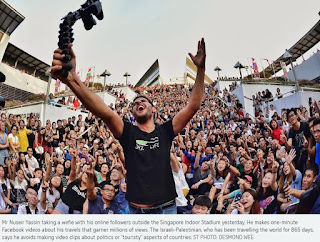 Yesterday, he hosted his largest spontaneous meet-up with his online followers, attracting at least 700 people outside the Singapore Indoor Stadium on a day's notice. "I think a lot of people confuse what we do with fame or wanting fame... which is not necessarily true," he said. Rather, what keeps him going is the friendships he has made along the way. Mr Yassin goes by the apt moniker "Nas", which means "people" in Arabic, and stresses that he is not making videos for the money. "If I can change an opinion, that's all I want," he told The Straits Times. For example, some people may be afraid of visiting Turkey because they consider it dangerous. He said: "If I can change one person's opinion about Turkey being dangerous, I'm happy." Among his most-watched productions is one on the shrinking of the Dead Sea, which has been watched close to 70 million times. Realising a few years ago that he had lived close to a third of his life with many more things he still wanted to do, Mr Yassin saved US$60,000 (S$82,000) before quitting his US$120,000 a year software engineering job in the United States, where he worked for mobile payment service Venmo. He generates revenue of US$80,000 a month now - half from Facebook advertisements available on four long videos each month and the rest from brand deals that he accepts. He hopes to start a media company after his odyssey ends. Singapore has struck a chord with Mr Yassin, who avoids making videos about politics or the "touristy" aspects of countries. Topics he found interesting as he did research for the Singapore video included Kampong Lorong Buangkok, the high certificate of entitlement prices for cars, the World Toilet Organisation which was founded here, and ministerial salaries. The Singapore one-minute video will be aired online today. Mr Yassin's gathering yesterday attracted fans and curious on-lookers, including Singapore Institute of Technology undergraduate Avneet Singh, 23, who started following Nas Daily last year. "Nas shares about different traditions around the world and it's pretty engaging. It's like Discovery Channel in a minute," he said. Mr Hendric Tay, 30, who also left his job several years ago and co-founded a media platform, The Travel Intern, said: "Nas likes to tell human-centric stories. Sometimes, he simplifies things, but it helps people who are not exposed to different ideas and cultures to get a taste of what things are like elsewhere." Singapore residents are highly satisfied with the public transport system, which is among the best in the world, based on a report by consulting firm McKinsey. The June report, called Elements Of Success: Urban Transportation Systems Of 24 Global Cities, also lauded the transport system's affordability and efficiency. The level of satisfaction with the public transport situation in Singapore was 86 per cent among those surveyed, added the report. 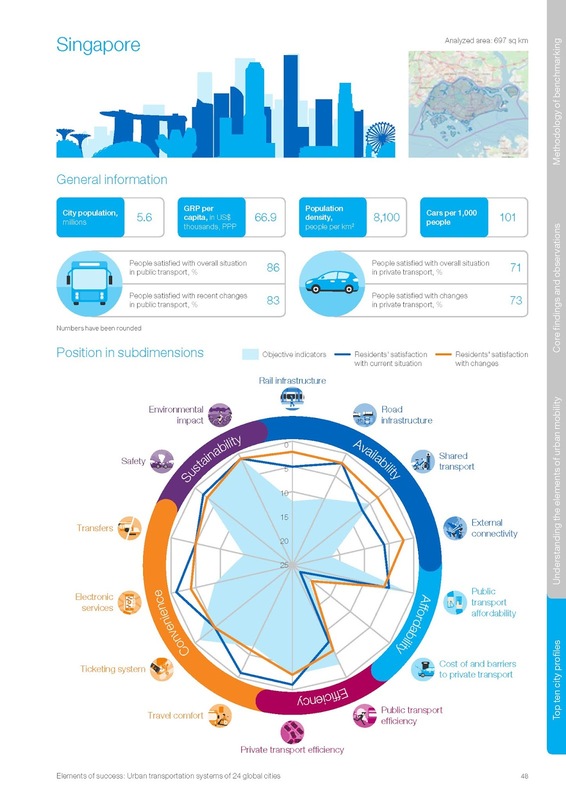 "The residents greatly appreciate their transport system and how it has evolved over the last (few) years - they are the most satisfied on 13 out of 14 aspects analysed," said the report. It added that electronic services such as trip planners are what residents in Singapore enjoy most. The 24 major cities featured in the report include Shanghai, London, Seoul and New York, and were selected based on size, level of economic development, transportation system characteristics and data availability. Four of them - Berlin, Hong Kong, Shanghai and Singapore - were chosen because their transportation systems are considered outstanding by external institutions such as the TomTom Traffic Index. 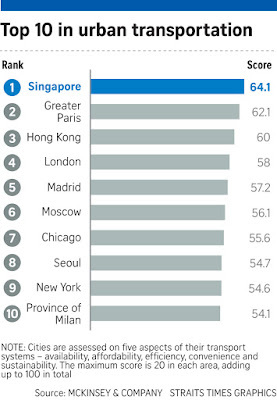 Based on these metrics, Singapore's overall transport system was ranked first among the cities studied. Its public transport system was ranked second, after Hong Kong. The report said: "If we were to derive the formula for an ideal transport system, it would be as available as in Paris, as affordable as in Singapore (where public transport is very affordable despite high barriers for car usage), as efficient as in Seoul, as convenient as in Toronto, and as safe and sustainable as in Hong Kong." It added that the fare review and new measures introduced in Singapore in 2013 were a major step towards affordability. These included a 15 per cent discount on adult fares for low-wage workers, free travel for children and seven other concessions which benefited more than a million passengers, the report said. It also lauded the convenience and flexibility of the ticketing system as another "outstanding feature", and made reference to the ez-link card. The study conducted a survey of 400 people in each of the 24 cities, with respondents matched to the age-gender ratio of the cities. It asked them how satisfied they were with their transportation system right now, and with the changes they have seen in the past three to five years. Elderly owners in all Housing Board flats - even those in five-room flats or executive maisonettes - can soon sell a part of their lease to the Government and use that income to fund their retirement years. 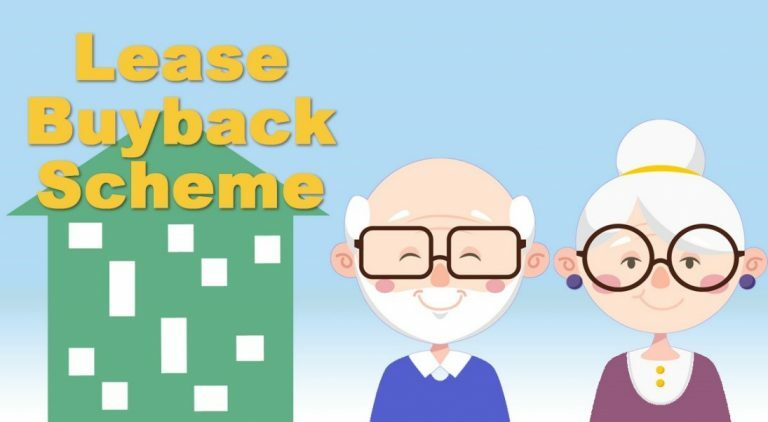 The Government is also looking to update rules so that people can dip more freely into their Central Provident Fund (CPF) savings when they purchase older flats. 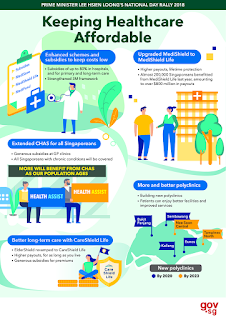 National Development Minister Lawrence Wong announced these moves in a blog post yesterday, a day after Prime Minister Lee Hsien Loong outlined the Ministry of National Development's (MND) plans to systematically upgrade older HDB flats. Residents in selected precincts may even get to vote on whether to take up the Government's offer to buy back their flats. "These are long-term plans which will be implemented over several decades," noted Mr Wong. "Meanwhile, MND will be making several shorter-term moves to help seniors unlock the value of their HDB flats for retirement." Previously, the Lease Buyback Scheme was restricted to four-room or smaller flats. But Mr Wong said that there are seniors who prefer to age in place. 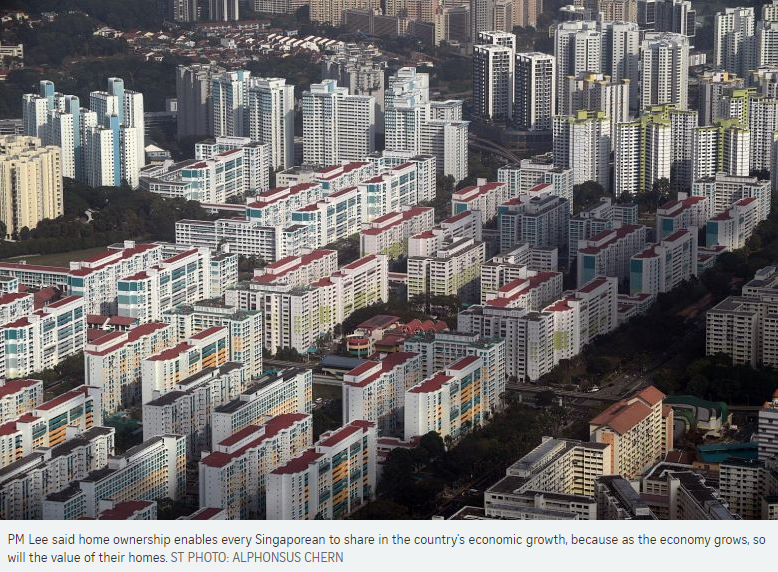 "This (move) will enable many more Singaporeans to benefit from the scheme," he said. Currently, to qualify for the scheme, home owners must be at least 65 years old and have at least 20 years of lease to sell to HDB, among other eligibility conditions. The current take-up rate is relatively low, with about 2,500 families benefiting as of Nov 30 last year, since the scheme was implemented in 2009. The average proceeds they received are about $146,000. Mr Steven Choo, chairman of real estate advisory firm VestAsia Group, said the change is likely to make the scheme more attractive: "If you have a 30-year lease on a five-room flat, it can be quite a tidy sum. If you crave security, this is a good option." But National University of Singapore real estate professor Sing Tien Foo does not expect the take-up rate to increase by much. "Those who own a bigger flat technically should have higher incomes and may not need to monetise as much as those from lower-income families. The number of people who will sell the remainder of their leases should be quite manageable - too many, and that would strain the HDB's budget." Mr Wong's ministry is also looking into how to let buyers of shorter-lease flats use more of their CPF monies for their purchase, without compromising on their retirement savings. Improving the liquidity of the resale market for older flats, he added, would facilitate an elderly resident's move to a smaller unit. 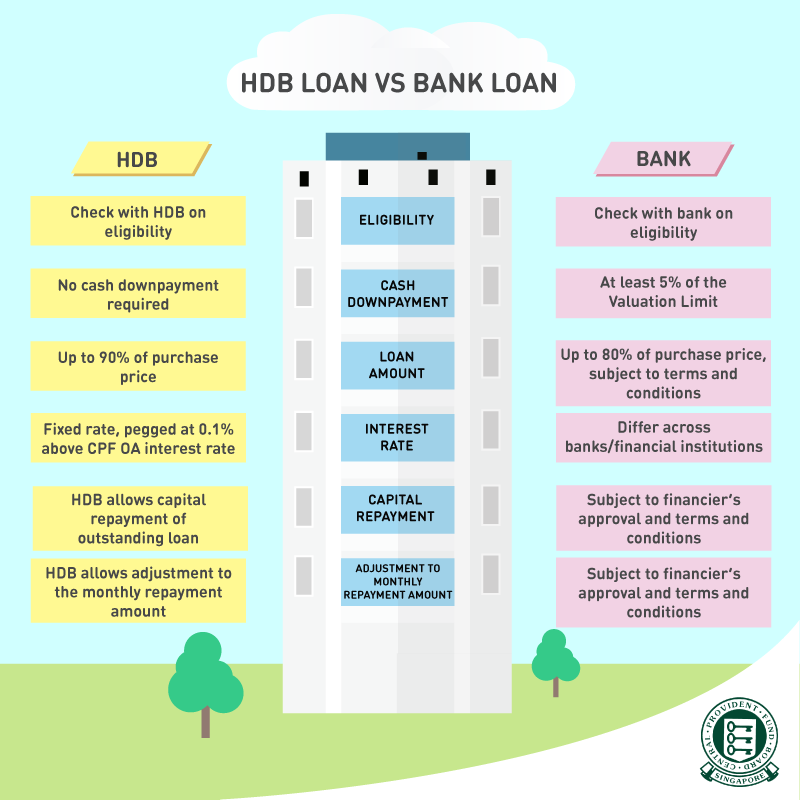 Currently, CPF can be used for the purchase of older HDB flats, but is subject to certain restrictions which kick in when the remaining lease is less than 60 years. For example, a home owner can use his CPF money if his age plus the number of years left on the remaining lease of the property is at least 80 years, but that too is subject to certain restrictions. No CPF money can be used if the remaining lease is less than 30 years. "These rules are meant to ensure that buyers purchase a home for life, without compromising their retirement savings," he said. But he added that there is "scope to provide more flexibility for buyers of shorter-lease flats while safeguarding their retirement adequacy". Mr Wong said the moves - the result of many months of intensive study - are "meant to prepare for the future responsibly". A better pre-school education, a fight against diabetes and a drive to be a Smart Nation were highlighted by Prime Minister Lee Hsien Loong at his National Day Rally last year as efforts that could benefit Singapore in the long run. A year on, The Straits Times looks at progress and challenges in these areas. 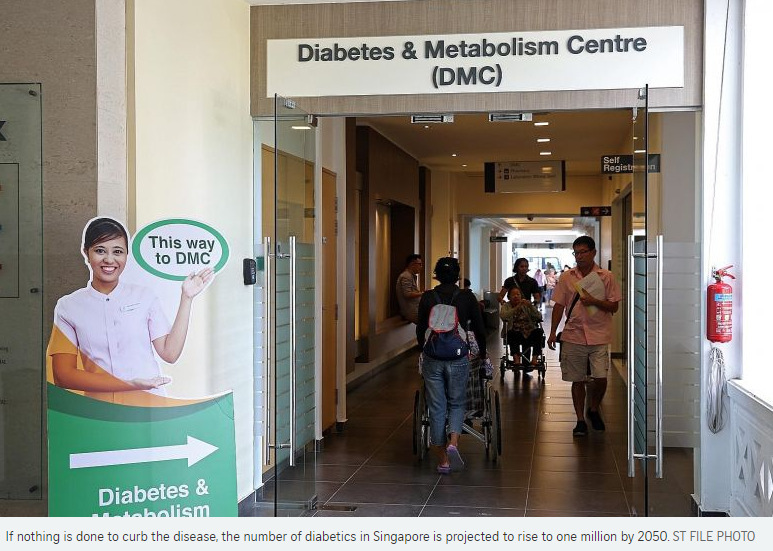 At last year's National Day Rally, Prime Minister Lee Hsien Loong spoke of the need to tackle diabetes here. The silent killer increases people's risk of contracting other serious medical problems such as stroke, heart attack and kidney failure. About 400,000 people here have the disease, though not all are aware of it as there are no symptoms in the early stages. This makes Singapore the developed country with the second-highest rate of diabetes, after the United States. If nothing is done to curb the disease, the number of diabetics is projected to rise to one million by 2050 - and cost the country $2.5 billion a year in treatment and lost productivity, up from about $1 billion now. Since the Prime Minister flagged the need to fight diabetes in August last year, the Health Promotion Board (HPB) has made it cheaper for people to screen for this and other chronic ailments. 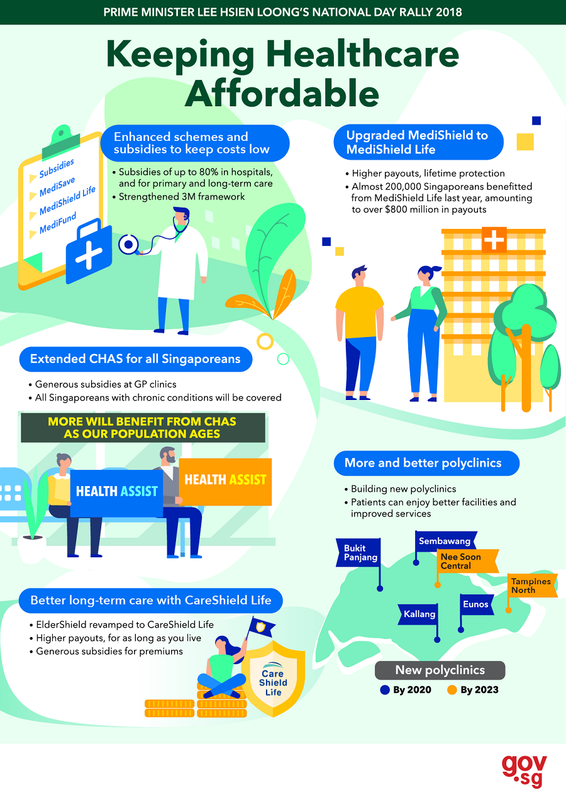 For a flat fee of $5 - it is $2 for Community Health Assist Scheme card holders and free for pioneers - eligible Singaporeans can be screened for up to five conditions, including diabetes. The fee covers the follow-up consultation should the person have any of the conditions. By May this year, more than 45,000 people had been screened. The HPB also funds food manufacturers to encourage them to come up with products containing less sugar. Its aim is to cut the sugar intake here by 25 per cent by 2020. White rice is a major source of sugar intake here, so the HPB is also pushing for more people to turn to brown rice, which does not spike blood sugar levels as much. It also works with hawkers to offer healthier options such as brown rice noodles and to add some brown rice in rice cakes and glutinous rice. Health Minister Gan Kim Yong recently spoke of making water more widely available with drinking points in public places. It has already become a must for water to be served at all government and People's Association functions, instead of just the ubiquitous syrup drinks. He is hoping to make drinking water the default. Today, about 100 million cans of sweetened soda are sold here every month - or more than one billion cans a year. 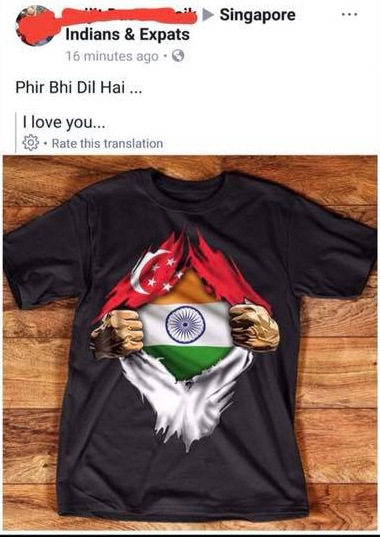 The police are investigating a Facebook post showing a black T-shirt with a graphic of the Singapore flag being ripped apart by a pair of hands to reveal the Indian flag underneath. The image, which is believed to have first surfaced on Aug 14, one day ahead of India's Independence Day, was widely shared online when it was posted onto the Singapore Indians and Expats page on Facebook by Singapore permanent resident Avijit Das Patnaik. The page has over 11,000 members. Mr Patnaik, who has been living in Singapore for a decade, posted it alongside a caption in Hindi that said, "Phir bhi dil hai…", which roughly translates to "Still my heart is…" and alludes to a popular Hindi song that talks about always feeling love for the motherland, India. But he told The Straits Times that he did not design the image. He had first seen it posted on various individual accounts on Facebook, Twitter and WhatsApp. Many netizens who saw the post deemed it offensive, with some complaining that the image is disrespectful to Singapore as it shows the Singapore flag being ripped to shreds. The Singapore Arms and Flag and National Anthem Act states that no person shall treat the flag with disrespect. The penalty is a maximum fine of $1,000. The image has since been taken down. The police confirmed that a police report has been lodged and that they are looking into the matter. DBS Bank, which is Mr Patnaik's employer, also commented in a Facebook post that it is looking into the matter. When contacted, Mr Patnaik apologised and said that he did not mean to cause offence. "I did not design the image and had already seen it being circulated widely... which is why I assumed it was okay for me to post the image. " he said. "I love Singapore deeply and am always singing praises about this country, so my intention was never to cause so much grievance. I just felt that the image represented that deep inside, the heart also beats for our motherland," he added. Secretary Tan Chor Bee, 52, who saw the post online, said that it should not be surprising that Singaporeans are angry. "If you post an image which defaces a national flag, then you should expect this result," she said. More small businesses may start bidding for government projects as long-standing rules are being changed to make it cheaper and easier for them to do so. Companies with yearly revenues below $5 million no longer have to produce audited financial statements to take part in government tenders, Senior Minister of State for Trade and Industry Chee Hong Tat said yesterday. This makes the process of bidding cheaper for small and medium-sized enterprises (SMEs), he said on the sidelines of a Singapore Business Federation (SBF) meeting. This change got under way in June. Come October, businesses will also not have to affix company stamps on government forms, including on tender-related documents submitted through government procurement portal GeBiz. This is unless the stamps are required by legislation. Stamps were needed for identity verification, but the digitalisation of services has meant that other forms of checks such as digital platforms and signatures are available. The change follows a review by the Ministry of Trade and Industry's (MTI) Pro-Enterprise Panel, which found that it is "cumbersome and time-consuming" for companies to download, print, physically stamp, then scan and send documents back to agencies via e-mail. "Upon receiving the feedback, the Pro-Enterprise Panel worked with 28 regulatory agencies and got their agreement to do away with this requirement," said Mr Chee. "When technology changes, we also have to change the way we regulate, and the rules that we have." On whether the relaxation of rules on financial statements involved risks, Mr Chee said the risks were manageable. He said smaller companies tend to bid for lower-value contracts and will have to build up a good track record before bidding for bigger contracts. The change is expected to benefit some 3,900 suppliers here, based on the number of registered suppliers who have participated in past government tenders. 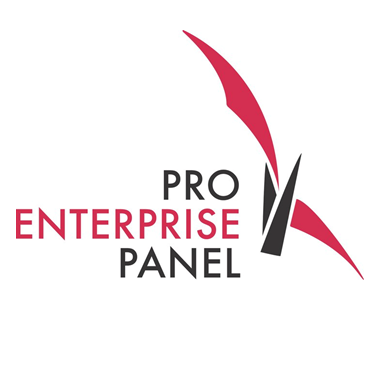 Of the 200,000 SMEs here, an estimated 160,000 or so earn an annual revenue of below $5 million a year. "It brings cost savings, and more importantly, I think it brings a lot more participation from SMEs in the procurement process or tender process as well," said Association of Small and Medium Enterprises president Kurt Wee.